Blind stick is an innovative stick designed for visually disabled people for improved navigation. We here propose an advanced blind stick that allows visually challenged people to navigate with ease using advanced technology. The blind stick is integrated with ultrasonic sensor along with light and water sensing. 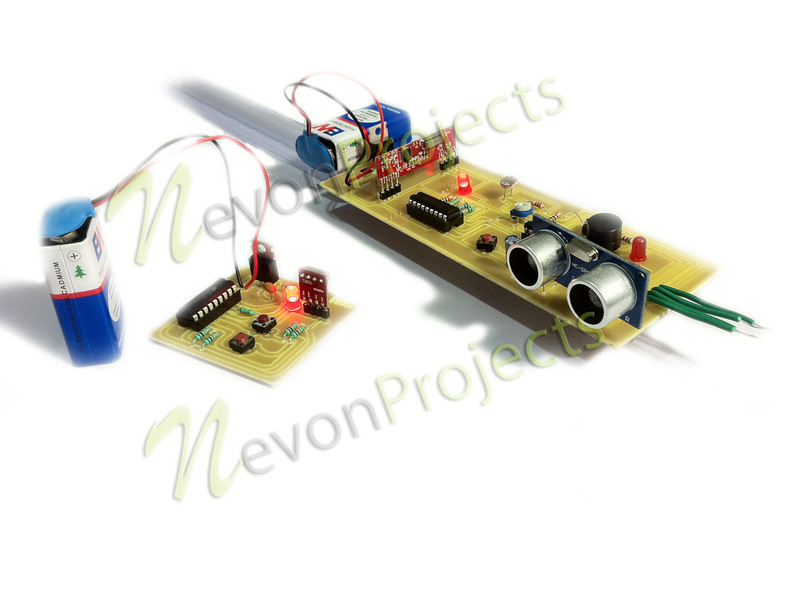 Our proposed project first uses ultrasonic sensors to detect obstacles ahead using ultrasonic waves. On sensing obstacles the sensor passes this data to the microcontroller. The microcontroller then processes this data and calculates if the obstacle is close enough. If the obstacle is not that close the circuit does nothing. If the obstacle is close the microcontroller sends a signal to sound a buzzer. It also detects and sounds a different buzzer if it detects water and alerts the blind. One more feature is that it allows the blind to detect if there is light or darkness in the room. The system has one more advanced feature integrated to help the blind find their stick if they forget where they kept it. 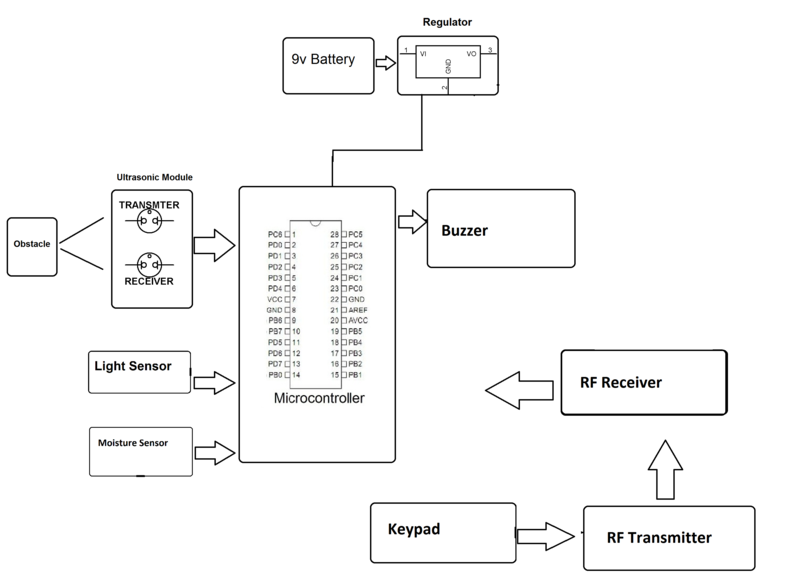 A wireless rf based remote is used for this purpose. Pressing the remote button sounds a buzzer on the stick which helps the blind person to find their stick. Thus this system allows for obstacle detection as well as finding stick if misplaced by visually disabled people.